Bank of America's new SafeBalance accounts will prevent customers from taking out more money than they have in their account. 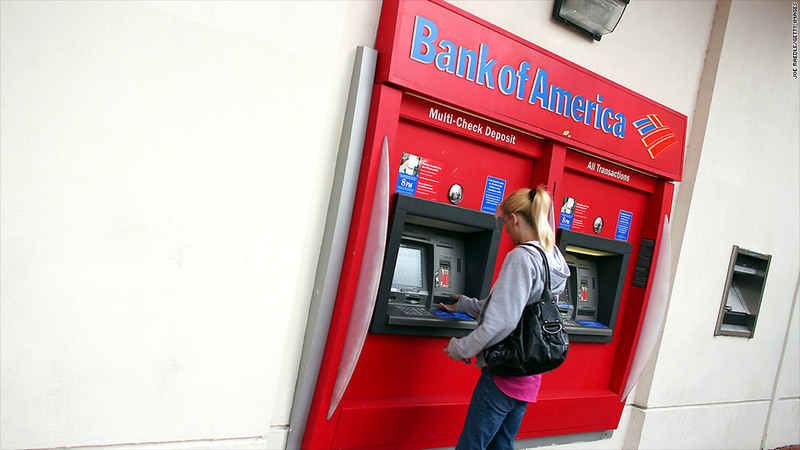 Bank of America is launching a new checking account that will prevent customers from overdrawing funds and getting dinged with frustrating overdraft fees. The SafeBalance accounts will stop customers from taking out more money than they have in their account while using an ATM, paying bills online or making a purchase at the point of sale, say at a store counter or a restaurant. Customers currently pay $35 if they incur an overdraft. But the service will come at a cost. Customers will be charged a flat fee of $4.95 a month, or almost $60 a year, and they will not be able to write paper checks. The bank's most popular account, MyAccess Checking, is free as long as a customer has a monthly direct deposit of at least $250. That account, and the bank's interest-bearing account for customers with larger balances, will remain unchanged and continue to prevent overdrafts at point of sale purchases. For customers with frequently low balances who are chronic overdrafters, the SafeBalance account could make financial sense. For example, a study from the Consumer Financial Protection Bureau found that overdrawing an account costs customers an average of $225 in fees per year. SafeBalance accounts are now being offered in a pilot program in Rhode Island, Oregon, Michigan, Virginia, Maryland and Washington D.C. A bank spokeswoman said they plan to roll out the accounts nationwide later this year.